Patrons visit the reference desk at University Library. Mac computer chargers rented out by the reference desk have been stolen in the past, causing the library to put the service on hold. University Library has replenished its supply of six Macbook chargers available for rent a few weeks after its last one came back broken in October. 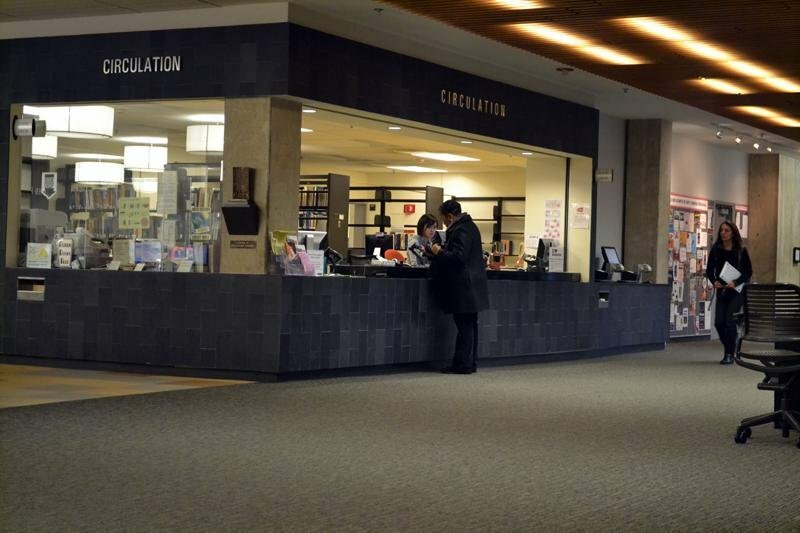 After the chargers kept by the circulation desk ended up either stolen or broken, the library decided to purchase replacements, said Alice Tippit, circulation services supervisor. At the time, it was unclear whether Associated Student Government — which initially funded the rental chargers — would buy new ones for the library, Tippit said. Because students have come to expect being able to borrow chargers from University Library, the library picked up the task of resupplying them. As a precautionary method to prevent students from replacing the library’s Macbook chargers with broken ones of their own, the library has marked up the new chargers with tape and pen. Mudd Science and Engineering Library, which has three chargers available for circulation, will take similar measures, Tippit said. The original chargers were only marked with barcodes. In addition to having chargers available in circulation, University Library plans to keep a stock of four backup chargers to replace the circulating ones if they become lost or broken. Demand for charger rentals has picked up, Tippit said. The laptop charger loan program evolved as a joint project between ASG and University Library after ASG allocated funds to kickstart it in January 2012. ASG is considering handing control of the program to the library, said ASG academic vice president Sofia Sami, who has worked with Tippet this fall. ASG had directed more than $1,000 from the ASG funding pool for the program. Sami said the program is currently in good hands under Tippit, and changes will likely come as Apple updates its computers and batteries. “It is going to be a constant reinvestment,” Sami said.